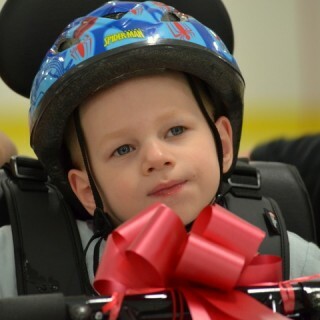 A New Bike for a Special Boy | Center for Family Services, Inc.
Kellen sitting on Laura’s lap, waiting to get his new bike. Laura is our Family Education supervisor and is assisting Kellen’s family. The room was full of hope. I could feel it. I could see it on the faces of the parents sitting on chairs waiting for the presentation to begin. Little Kellen was there with his mom and dad, and Laura. Laura has been involved with Kellen’s family many months. She is providing counseling to help the family deal with the stresses of raising a special child. 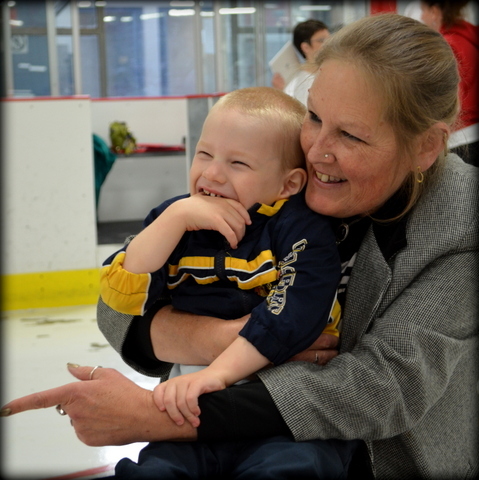 You see, Kellen with his sweet smile, has Angelman Syndrome. His disability had kept him isolated from the family up until recently. He needs to have support when standing and would use anything to pull himself up, often endangering himself. For his own safety, his parents had to limit him to one nearly empty room. The family was “adopted’ this past Christmas and given an enclosure system that was placed in the family room. Now Kellen can be an active part of the family without causing himself harm. 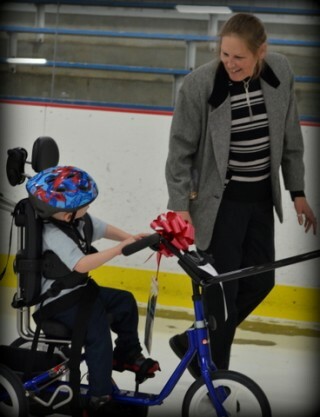 Now, Kellen can get outside and enjoy exercise on his new bicycle! 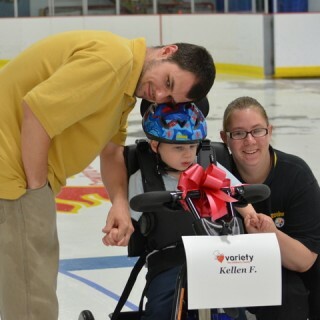 Thanks to Variety the Children’s Charity, Kellen received a custom bike and WOW, is he happy. When Laura first heard about these special bikes she immediately went into action, advocating for the family and helping them apply. We are so very proud to have Laura on our staff.